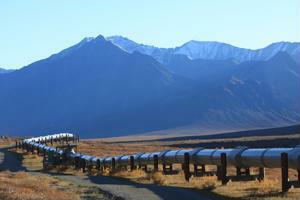 Home Directs What does the Keystone XL pipeline mean for US oil procurement? What does the Keystone XL pipeline mean for US oil procurement? A key consideration procurement professionals take into consideration is the cost of delivering goods from one location to another. For those involved in the energy industry, transportation is a significant concern. Oil spills can cause grievous disruptions to the supply chain, that could cause numerous detrimental environmental and social consequences. That's why oil pipelines appear so attractive - they reduce the risk associated with distributing much needed resources to refineries and other facilities. However, installing and implementing these assets isn't always a smooth process. Since 2008, United States lawmakers have been contending over the construction of the Keystone XL pipeline, according to CBS. Six years ago, TransCanada applied to the U.S. federal government for a building permit that would transport 830,000 barrels of petroleum derived from Canadian tar sands to refineries located along the Gulf Coast. Most of the pipeline has already been erected, spanning from Texas to Nebraska. The middle section, which will stretch from Nebraska to Canada through Montana, has yet to be established. U.S. legislators remain divided on the issue. On one hand, supporters assert the Keystone XL project will create 42,000 temporary positions, ranging from construction to food services. In addition, they maintained that transporting petroleum via the pipeline is much safer than doing so by rail. On the other side of the argument, opponents maintain that after the pipeline is completed, a mere 35 permanent jobs will hold up. Many also contend that the pipeline will indirectly contribute to the production of 17 percent more greenhouse gases, as tar sand extraction is more detrimental to the environment than conventional methods. IndustryWeek noted the matter was recently settled in the U.S. Senate. Missing the mark by a single vote, the $5.3 billion project was rejected by lawmakers on Nov. 18. Many Senate Republicans noted they intended to revisit the matter in January. From a purchasing management standpoint, the rejection of the Keystone XL proposal is a serious blow to energy companies with oil refineries dispersed across the American Gulf Coast. Although the pipeline would have been expensive to construct, this was a more feasible solution compared to the long-term costs associated with continuously transporting Alberta petroleum across the Plains States. Residual expenses will be caused by rail safety mandates, as well as recent laws that obligate companies to replace antiquated cars carrying chemicals.